Who Coined The Term "Cyberpunk"? 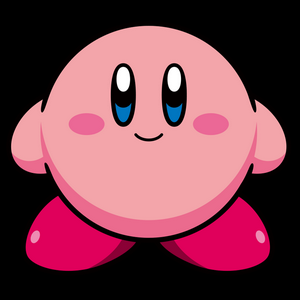 Kirby is a fictional character in the Nintendo universe, introduced in the 1992 game Kirby’s Dream Land and a regular character in subsequent platformer games as well as the popular Super Smash Bros. fighting games. While the plucky and spherical character who survives by inhaling his enemies and absorbing their powers is most certainly a fabrication, his name has a very real world origin. The character Kirby is named after the American lawyer John Kirby. Why name a video game character after a lawyer? Kirby lead the defense in the 1984 case Universal City Studios, Inc. v. Nintendo Co., Ltd., in which Universal alleged that Nintendo had infringed on their copyright with the game Donkey Kong (on the basis that Donkey Kong was clearly King Kong of silver screen fame). Thanks to Kirby’s excellent defense, the case was ruled in favor of Nintendo, and the company’s fledgling operations in the United States were able to continue growing. Years later, they named the character after John Kirby both to honor him and because the development team liked the way the hard sound of “Kirby” contrasted with the fluffy body of the character.